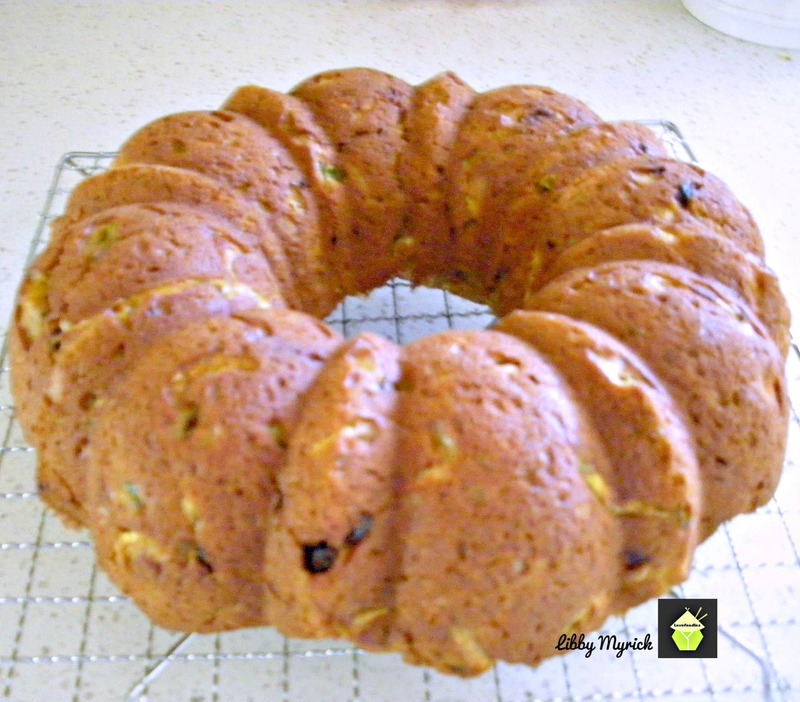 Pineapple Zucchini Cake A wonderful soft, moist and full flavored cake. Smells fabulous when it's baking too! Pineapple Zucchini Cake A wonderful soft, moist and full flavored cake. Smells fabulous when it’s baking too! 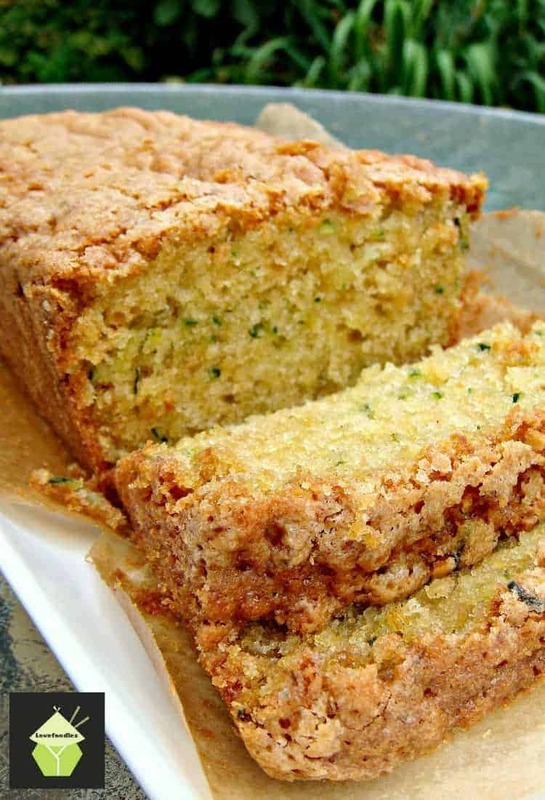 Pineapple Zucchini Cake. Oh boy! This is a lovely recipe and easy to make too! This delicious recipe has been generously shared by one of our Lovefoodies supporters, Cathy Kopp. Cathy is always cooking delicious Homemade dishes and just loves to cook. 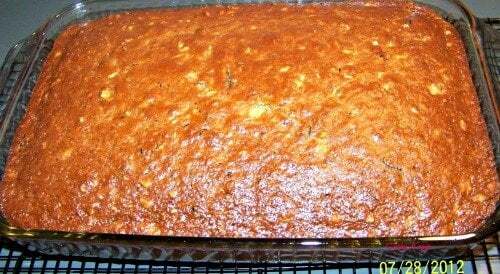 Here, Cathy’s Pineapple Zucchini Cake is incredibly easy and a real family hit! 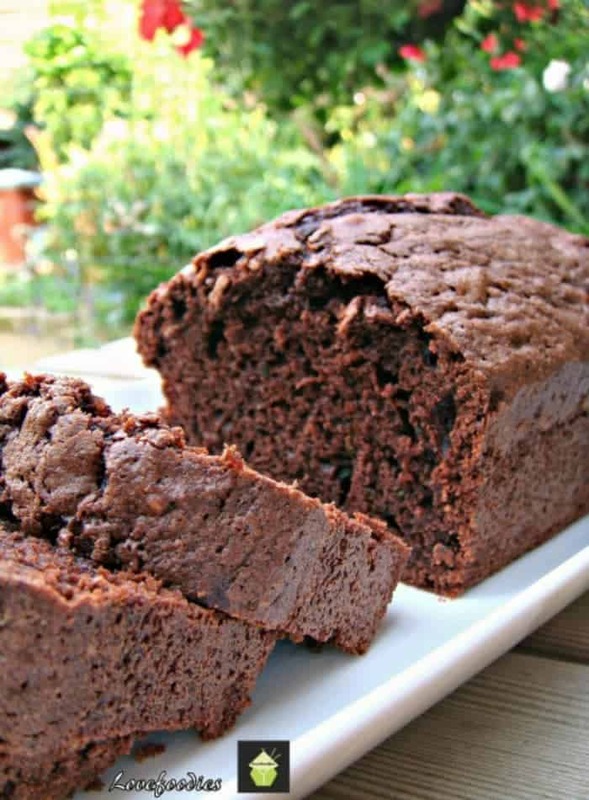 It’s super moist and full of wonderful ingredients. If you’re looking to spice up this cake a little, for example, if you were going to make it for Thanksgiving or at Christmas time, soak the pineapple and raisins in some spiced rum overnight before you make the cake. Oh, yummy! 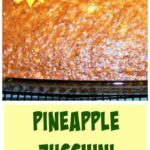 You can choose to frost this pineapple zucchini cake if you wish, however, Cathy says the cake is delicious and moist and didn’t feel the need to frost it. There are many recipes for this cake available, and this is one which Cathy would recommend. It’s certainly tried and tested! 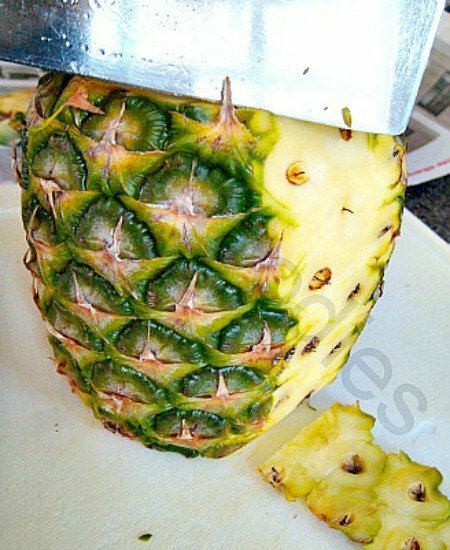 If you wish to use fresh pineapple, we’ve got a great guide here on how to prepare a pineapple with minimum waste. it’s surprising how much pineapple you can end up throwing away if you’re not too sure how best to prepare it! Take a look! We even give you a tip on how to make sure you choose a ripe pineapple so it’s juicy and sweet. 1. Preheat oven to 350 F / 180 C / Gas 4. Butter a 9 x 12 or 9 x 13 baking pan. 2. In a medium bowl, combine the flour, cinnamon, baking soda, salt, and baking powder. Set aside. 3. In a mixer, beat the 3 eggs on high speed until frothy. 4. Lower the speed and beat in the sugar, vegetable oil, vanilla, and lemon zest. Add the flour mixture and combine well. 5. Stir in the zucchini, chopped nuts, pineapple and raisins. If the batter gets too stiff, you can add a little of the pineapple juice. 6. Pour mixture into the baking pan and bake for 40 to 45 minutes. Allow to cool before frosting. 7. To make the frosting, beat together the cream cheese and butter. Add the powdered sugar and beat until smooth. Frost the cooled cake and serve. 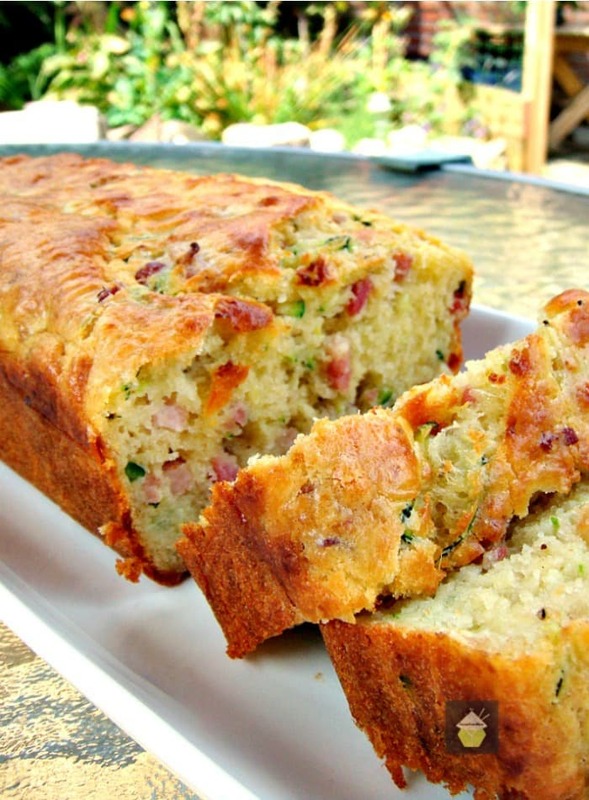 Here are a few more lovely Zucchini Bread recipes, some sweet and also a savory one too. They’re really delicious! Preheat oven to 350 F / 180 C / Gas 4. Butter a 9 x 12 or 9 x 13 baking pan. In a medium bowl, combine the flour, cinnamon, baking soda, salt, and baking powder. Set aside. In a mixer, beat the 3 eggs on high speed until frothy. Lower the speed and beat in the sugar, vegetable oil, vanilla, and lemon zest. Add the flour mixture and combine well. Stir in the zucchini, chopped nuts, pineapple and raisins. If the batter gets too stiff, you can add a little of the pineapple juice. Pour mixture into the baking pan and bake for 40 to 45 minutes. Allow to cool before frosting. 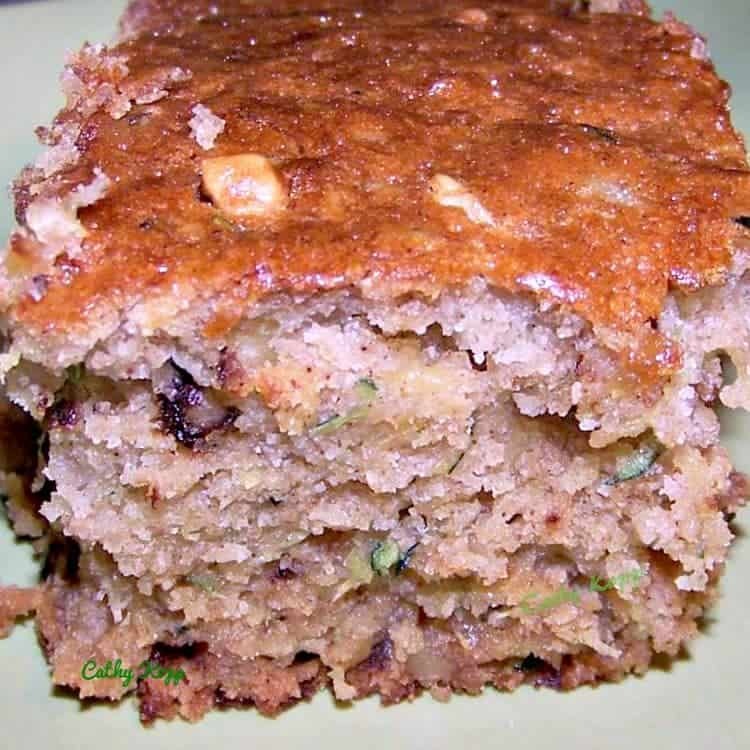 Have made zucchini bread for years, have added walnuts to mixture. When I’ve had to many Zucchini’s in the garden, I would peel grate, then put two cups into a freezer bag then put in freezer. When wanting for the bread I would thaw it out and drain excess liquid. When putting in pan I would oil pan then sprinkle sugar to coat oil instead of floor, gives it a sweeter and a little crunch to the bread. Will give a try on the pumpkin and pineapple, sounds good and a little different then the norm. I made this cake yesterday, in the pan recommended and it was very thin and the zucchini is very stringy within the cake – making it very hard to slice!! Love the pineapple in here. Thanks for sharing! Hi Bea! I’m glad you like it. 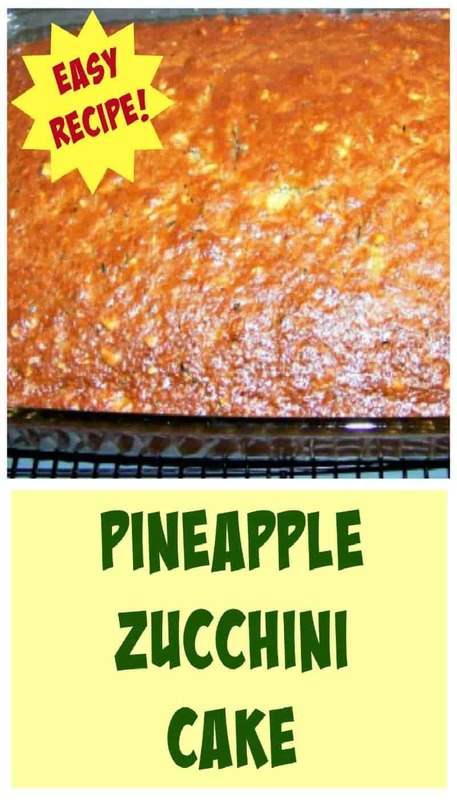 The pineapple certainly makes it nice and moist and of course super tasty! Please enjoy!